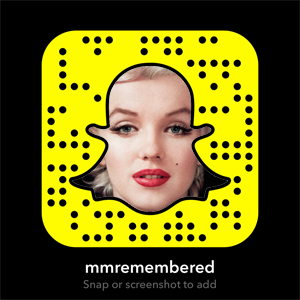 For many years a bench was positioned near Marilyn Monroe’s crypt at Westwood Memorial Park. This bench, provided by the Marilyn Remembered Fan Club and the All About Marilyn Fan Club in 1992, allowed for a place near Marilyn where visitors could spend time contemplating her life, thinking about Marilyn, or just visiting her. Unfortunately, in mid 2008, due to age and normal wear and tear, this concrete bench began to crumble, and actually fell apart. 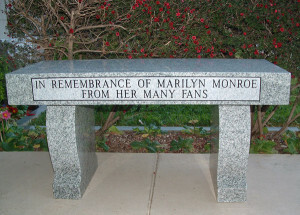 In late 2008 the Marilyn Remembered Fan Club took action to replace the bench and reached out to fans all over the world, inviting them to contribute to the cause of replacing the bench. 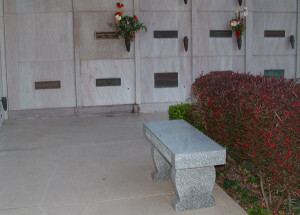 In February of 2009 a beautiful new bench of pearl white granite was installed. 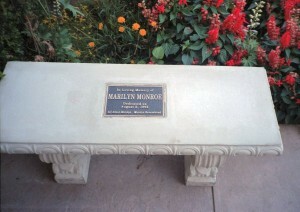 This bench was formally dedicated at the 2009 Marilyn Monroe Memorial. This bench was paid for solely with donations and contributions from fans all over the world. The Marilyn Remembered Fan Club recognizes and thanks the following fans who donated to this cause, and ultimately to our goal of keeping the legend of Marilyn Monroe Alive.